A new TV series will examine some of the more unusual, mysterious and sometimes spooky situations that NASA and its astronauts have found themselves in over the years. Take astronaut Leroy Chiao who was commander of the International Space Station for six and a half months in 2005. On a spacewalk 230 miles above Earth, traveling at over 17,000 miles per hour, Chiao suddenly saw something that made his “heart leap up into his throat”. awfully strange,” Chiao told The Huffington Post. Despite his shock there was a rather mundane explanation for the lights – a fishing boat. A recreation of the incident Chiao is sceptical we’ve been visited by aliens. He said: “I don’t rule it out 100 percent. I have an open mind and I do believe there’s other life in the universe. This video appears to show UFOs moving across the surface of the moon, slowing down and changing directions. 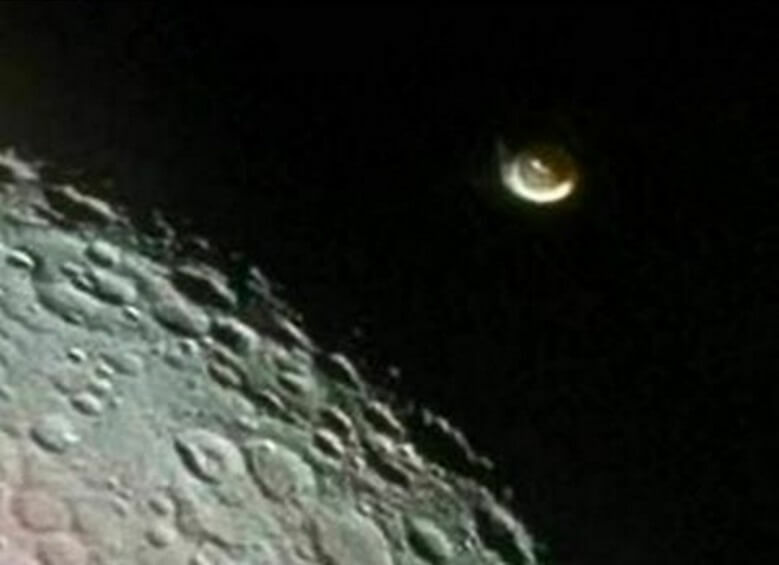 This video shows what looks like a group of UFOs approaching the moon on April 7, 2012. In this video, posted by the same individual from the previous video, a large group of UFOs seems to be heading away from the moon toward outer space. Shot with a camera on a tripod, this poster says the video shows triangle-shaped UFOs appearing to orbit the moon. Astronaut reported their experiences with UFOs at the International Space Station!